Disney-Bösewichte. . HD Wallpaper and background images in the Cruella DeVil club tagged: disney villains cruella 101 dalmatians. 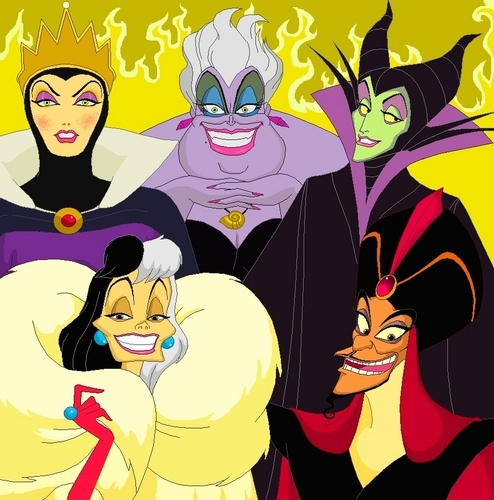 All of those Disney Villains my favourite villain is Cruella De Vil she is a funny is bran amazing on 101 Dalmatians Real live is Glen Close as Cruella. But she has being kidnape the puppies not a nice woman. I hate Maleficent that evil horrible nasty witch turning into a dragon scareing me. I don't like evil nasty Queen stealing Snow White's things.